ManACE is a Special Area Group of the Manitoba Teachers’ Society. 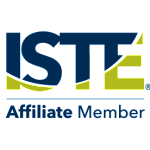 ManACE is also a member of the International Society for Technology in Education. The primary purpose of ManACE is to promote the use of instructional technology at all levels of education. and assisting with the integration of instructional technology into all curricula.